Looking for something different? 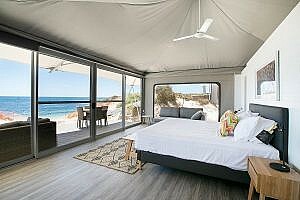 Rottnest Fast Ferries now offers Helicopter & Ferry Packages to Rottnest Island in conjunction with Rotorvation Helicopters. 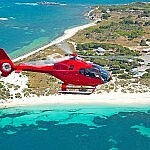 Add some excitement to your Rottnest adventure and fly to Rotto in your private helicopter. Enjoy stunning views from every seat as you arrive in style! 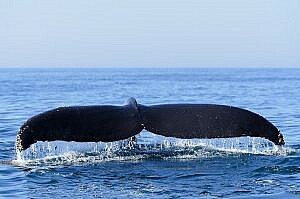 Return flights available or upgrade your ferry ticket to include one way by helicopter! *Note that a $52.50 admission fee to an A-class reserve is payable for each flight to Rottnest (this is payable per booking NOT per person). 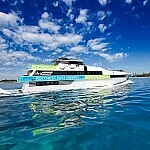 Available on weekends from Hillarys Boat harbour with a minimum of 2 passengers, maximum 4 per flight. Whether it be a long stay or a day trip there is nothing quite like arriving by helicopter! Arrive in style in your own private helicopter from Rotorvation Helicopters to allow maximum time to explore the island or enjoy a leisurely lunch at one of the islands excellent restaurants. 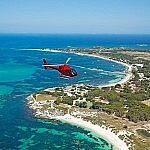 Marvel at the stunning views and visibility that only helicopters can offer. 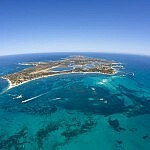 Fly to Rottnest in your own private Helicopter, then return with Rottnest Fast Ferries after your stay at Rottnest!